You have options when it’s time to choose a dealership or service center, which is why we aim to provide an experience at our Brandon area Honda dealership that’s absolutely unrivaled! Our team delivers on unparalleled customer service, focusing on your unique needs to give you a dealership experience you’re sure to love. Patty Peck Honda will be on your right! Still on the fence about coming by to see us? Just check out what recent visitors at our Brandon area Honda dealer have to say! 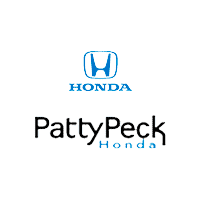 Ready to experience the Patty Peck Honda difference firsthand? We’re here to help you get behind the wheel! Visit our Brandon area Honda dealership or contact our team by calling (601) 957-3400 today!